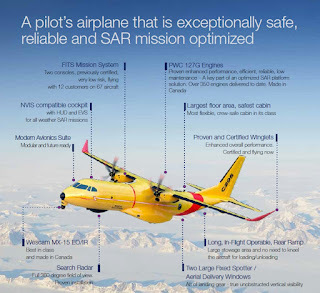 The Government of Canada had selected the Airbus C295W for its Fixed-Wing Search and Rescue Program. Dec.8, 2016 - Today, the Government of Canada announced that it had selected the Airbus C295W for its Fixed-Wing Search and Rescue Program. 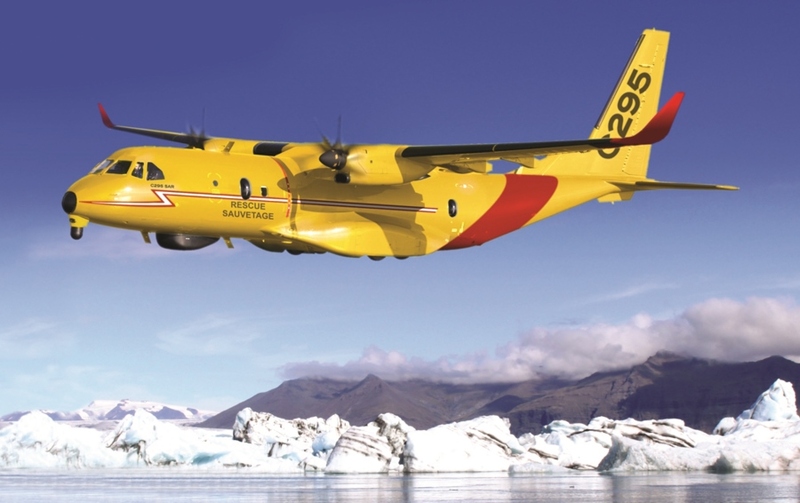 As part of the FWSAR program, the Royal Canadian Air Force (RCAF) will purchase 16 C295Ws modified for Search and Rescue (SAR). The contract will also include in service support, provided through a joint venture between Airbus Defence and Space and PAL Aerospace. 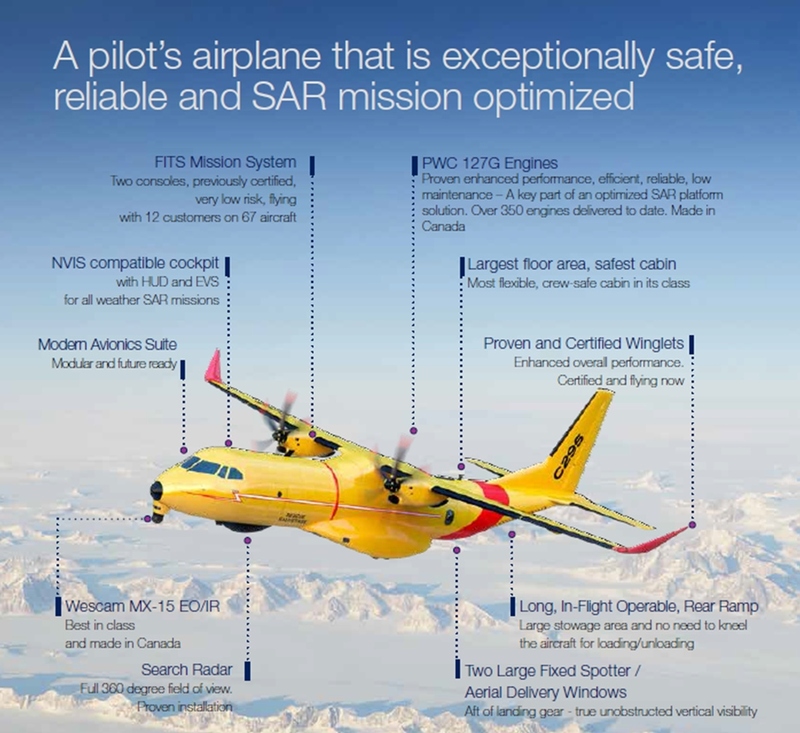 The C295W features substantial Canadian content. Every C295 is powered by Pratt & Whitney Canada engines, pilots will be trained at a new facility developed by CAE, and the electro-optical systems for FWSAR will be provided by L3 Wescam. In-Service Support for the life of the program will be provided by AirPro, a joint venture between Airbus Defence and Space and PAL Aerospace. In-service support will be conducted by Canadians in Canada. Canada’s C295Ws will be delivered starting three years after contract award. In service, they will join five Airbus CC-150 aircraft used in the air-to-air refueling, transport, and VIP travel roles. Canadian search and rescue (SAR) crews put their lives on the line every day, relying on their aircraft to deal with extremes of weather and terrain in the course of their duties. From demanding mountain contour search, Arctic and North Atlantic storms, to extremes of temperature, icing and precipitation, the requirements for a SAR aircraft have been well-documented. In the face of a SAR emergency, crews will face pressure to launch even when conditions are beyond the limits of their aircraft. This situation need not occur anymore now that Canada has selected C295W for its Fixed-Wing Search and Rescue Program. The C295’s 41-ft.-long cabin is the largest in its class, providing room for sensor and mission systems, plus crew rest and preparation areas. With its ability to accommodate the most sophisticated sensors, Airbus Defence and Space’s C295 is ideal for search and rescue missions (SAR) both day and night, and during all weather conditions. When the contract is finalised, 185 C295s will have been ordered by 25 countries.